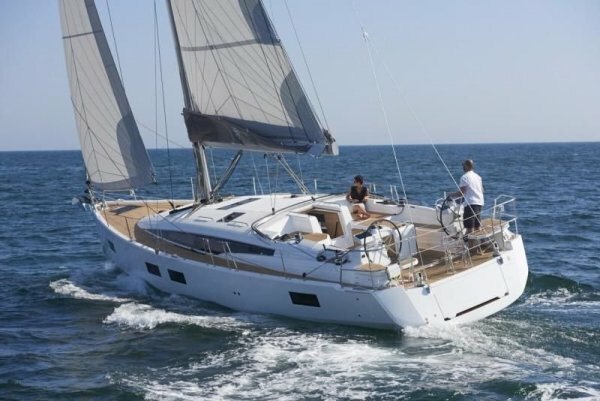 We will be sailing in a 51' Jeanneau with 4 staterooms. Our itinerary will take us to many of the beautiful islands around St. Martin. Half-Dutch, half-French, St. Martin offers a blend of easy island hopping, to bustling days and adventurous, open-water passages to remote shores such as St. Barts and Anguilla. The vacation could include everything from designer shopping to fine dining, unspoiled beaches and sun-kissed sailing to surrounding islands. You may also want to dive among the natural reefs, sunken ships and tropical fish, or snorkel the shimmering waters full of marine life. St. Martin is a classic Caribbean sailing ground with a cosmopolitan European twist. The Leeward islands that include St. Martin are constantly cooled by Trade Winds, making it comfortable to visit them at any time of the year. The easterly winds blow at 15-20 knots, lighter in the summer months. Water visibility is generally excellent and the air temperature ranges between 80-88 degrees in July with the average precipitation of 3 inches. The average water temperature is 84 degrees and the tidal range is quite small. Enjoy the privacy and space found in your own private stateroom with en-suite head. Breakfast, lunch, port fees, captain fees included. We will also take opportunities for learning a few of the basics when cruising: VHF radio procedures, right-of-way rules, MOB drills, mooring/anchoring and electronic navigation. Don't forget your sun screen. A classic 8 day getaway. Couples welcomed. Singles encouraged.